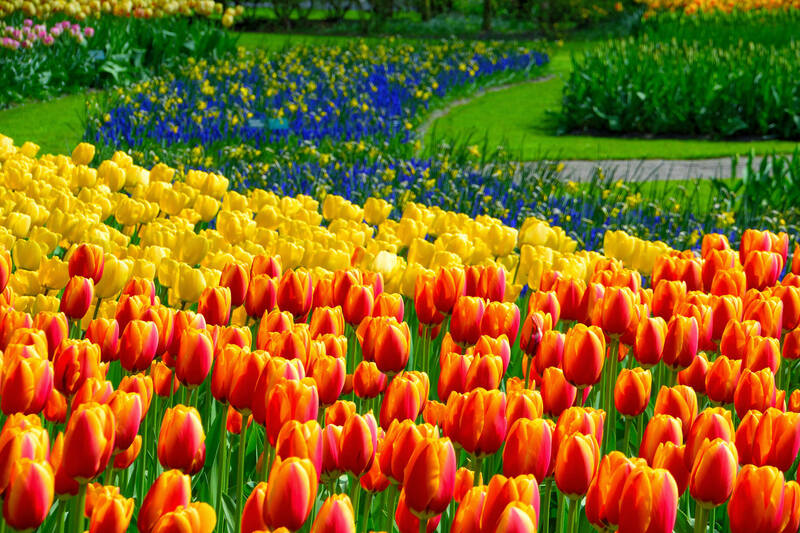 Veja as belas tulipas e algumas das mais agradáveis cidades da Holanda! Este tour na Holanda lhe leva ao longo de ciclovias pitorescas pelo belo interior holandês. 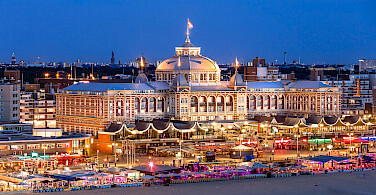 Começando em Amsterdã, esse passeio visita cidades famosas como Haarle, Leiden, Scheveningen, The Hague, Delf e Rotterdam. Se o tempo permitir, é possível também visitar Gouda, com seus queijos maravilhosos. 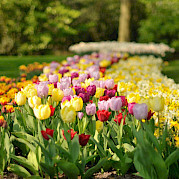 E nos meses de abril e maio há as tulipas, com uma visita especial ao espetacular jardim de Keukenhof. Gostaria de ver outros passeios de bicicleta e barco na Holanda? Datas para passeio guiado: 4-maio, 25-maio, 15-jun, 31-ago, 14-set, 2019. Cabines Twins para uso individual em número limitado. Pegue um trem para a estação central de Amsterdã. 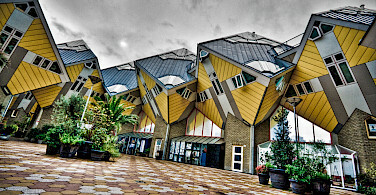 Descontos nas entradas mencionadas no programa (fábrica Delftware, Kinderdijk, Igreja St. Jans, fazenda de queijo em Oudewater, ourive em Schoonhoven, prefeitura em Zaandam, e outros mais. Nota: Os guias apenas pedala com o grupo fornecendo suporte. A bordo do De Amsterdã, um segundo guia estará presente se o número de ciclistas superar 60). Mapas para passeios autoguiados (ver preços). Tour de bicicleta e barco guiado de nível fácil em terreno plano, ciclovias e estradas asfaltadas com baixo tráfego. *A bordo desses barcos é possível fazer o tour de forma auto-guiada com a descrição da rota. Porém é preciso especificar no ato da reserva. Mapas estão disponíveis a bordo mediante pequena taxa. 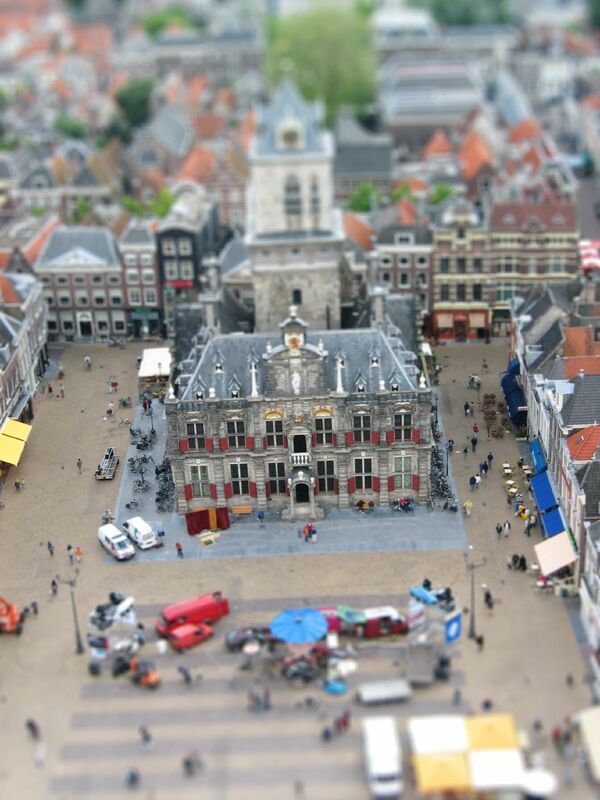 Dia 8: Amsterdã. Término do passeio após o café da manhã. Embarque (não perca o horário, pois os barco parte às 14h00!) e chá de boas vindas como guia, a tripulação e outros viajantes. Primeira parte do passeio leva a Spaardam, conhecida como a vila de Hansje Brinker, e depois, pedal até a bela cidade de Haarlem. Jantar a bordo. Hoje o dia começa com um pequeno tour por Haarlem, onde você poderá ver casas típicas, ao sair de Haarlem, pedalamos até 'Cruquiusgemaal' (estação de bombeamento), uma das três estações que bombearam o lago Haarlemmer entre 1849 e 1852. Hoje é um museu e dá uma ideia verídica do que é a "guerra" do povo holandês contra o mar. Durantes o verão, pedalamos pelas dunas da praia. Ao deixar Leiden, pedalamos para o sul ao longo do canal Vliet e depois na direção da costa. Em 'Wassenaarse Slag' parada para descanso na praia. O trajeto do Delf lhe leva ao longo das águas novamente. 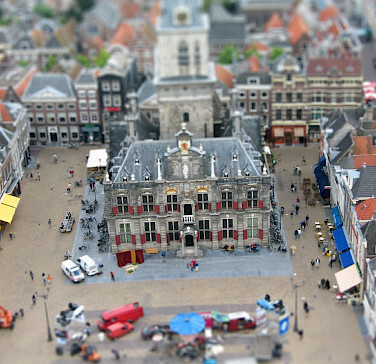 O centro antigo medieval é bem preservado com com seus canais, magnificente prédio munincipal e o túmulo real em Nieuwe Kerk. Vale a pena uma visita. O barco lhe leva pelo centro de Rotterdam proporcionando a melhor vista dessa moderna cidade. Você começa a pedalar em Kinderdijk passando por Alblasserwaard, entre dois rios, com um belo cenário de águas e prados. A região é famosa por seus diques e moínhos na luta contra as águas, 19 ainda existem, você poderá visitar um dele e depois continuar o passeio de bicicleta até Gouda. De Gouda você pedala por estradas rurais, margens de rios e canais e ao longo do coração verde da Holanda com seus polders até chegar em Uithoorn. Gouda é famosa por seu queijo, mas também por suas waffles, cerâmica e vidraças. Você com certeza apreciará essa cidade de contos de fatas, com seus canais e centro praticamente intacto. Após o jantar, a pedida é uma caminhada pela cidade. Hoje pedalamos por polders e ao longo dos rios Waver e Amstel, do qual deriva o nome da cidade de Amsterdã. Ou seja, represa do rio Amstel (Amstelredamme). Por um malha fabulosa de ciclovias chegamos a Amsterdam. Retorno ao barco para jantar de despedida e depois uma caminhada pelo centro da cidade ou uma passeio pelos seus canais. Dias em que são oferecidas duas quilometragens, há a possibilidade de escolha entre uma rota mais curta e outra mais longa. Partes em em itálico acima serão feitas de barco. 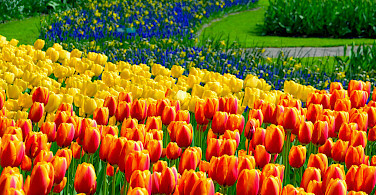 *A bordo De Amsterdam: Saídas nos dias 14-abril, 21-abril, 28-abril e 5-maio, há a oportunidade de visita à famosa exibição de tulipas no parque Keukenhof em Lisse de ônibu/trem ou de trem+bicicleta. Transfers/passagens/entradas não estão incluídas no preço do passeio. *A bordo De Holland: Saídas no dia 28-abril, há a oportunidade de visita à famosa exibição de tulipas no parque Keukenhof em Lisse de ônibu/trem ou de trem+bicicleta. Transfers/passagens/entradas não estão incluídas no preço do passeio. This tour is run by Cycletours and Boat Bike Tours. Loved the little towns, biking through them. Really nice trails. Sadly rain a couple of days but can't control the weather. In short, the South Holland boat-bike trip exceeded all my expectations. The routes, scenery and attractions were unbeatable. The boat cabins were small (akin to a university dorm room) but were extremely functional and comfortable. All of the staff did their utmost to satisfy our needs. We experienced windy days, a rainy day and lots of sun - the biking was always good. I'm typically a trip planner, so having all the logistics taken care of by the tour company made this an exceptional cycling vacation. I have already recommended the tour to many of my cycling friends. I very much enjoyed the beauty of the Netherlands countryside. Amazed by the extent to which the country is so bicycle friendly! This tour is incredible. 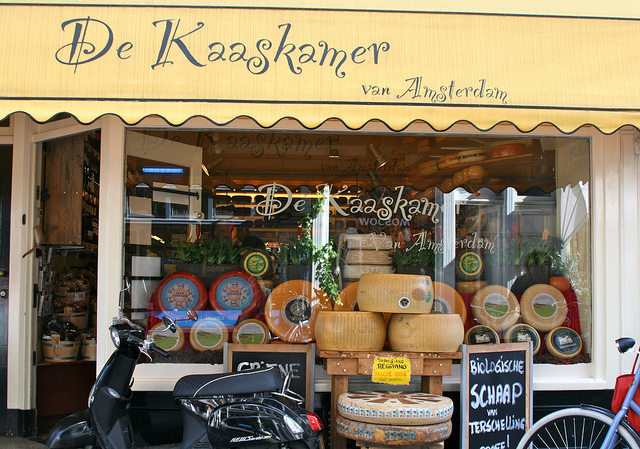 It is all in one: beaches, dunes, historic towns, beautiful scenery, taste richness. Idyllic rides crossing the countryside passing by dreamy little towns while enjoying the caring of a dedicate and welcoming boat crew which felt like family. Getting up in the morning was a blessing. Every pedal took us to a new horizon of beauty, iconic landscapes and charming quarters which involved us in a good state of mind and body. Your whole self responds to this amazing atmosphere of enjoyment. History and culture just embraces you for the whole time. 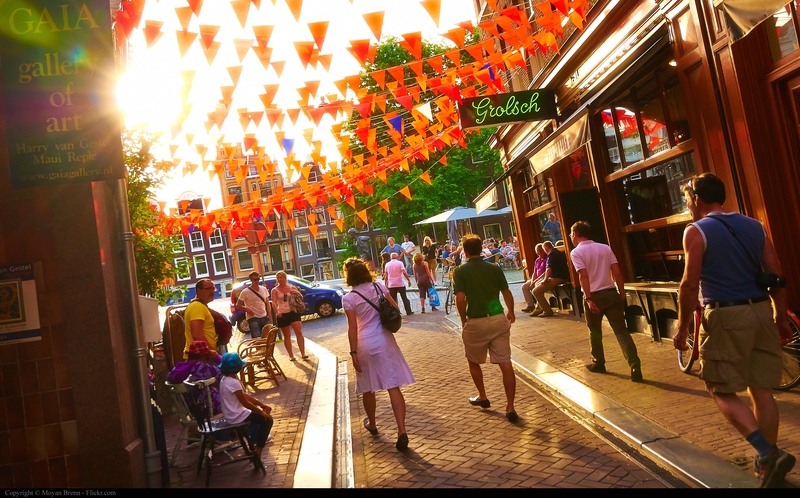 Meals are delicious; trying the local cheese, fruits, street food, or just finding a picturesque corner for a coffee is priceless. Getting back to our boat (Liza Marleen) was like arriving at home after an exciting and rewarding adventure. The captain and her crew knew exactly what we needed to replenish our energy while making every meal a pleasure. We were also lucky to get warm and long days, so as an extra, we Read more… got to jump into the inviting waters to extend a little more the incredible experience of each day. Our 7 years old daughter loved everything, even the cultural aspects of it is an invitation to all ages and tastes. I recommend this tour to every and anyone. It is definitely a bucket list top item. Exciting bike and barge tour throughout Southern Holland. 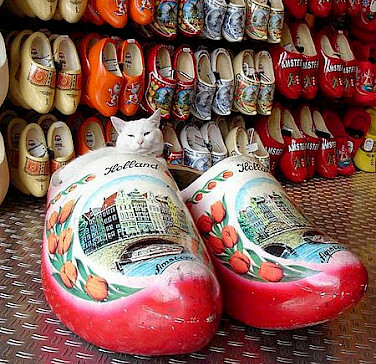 Definitely proclaiming a successful trip in a beautiful Holland. Safe and crew were very attentive and courteous. Felt mislead by bike insurance offerer by Tripsite. Later found out bike staff on the barge that if the bike was damaged I would have to pay upfront the amount of damage that I caused to the bike staff and then I can put a claim to the insurance by Tripsite which I would be reimbursed at that time This was a minor snafu and I was very disappointed about the misrepresentation when I was told the insurance would cover everything upon needing the coverage for bike damages. 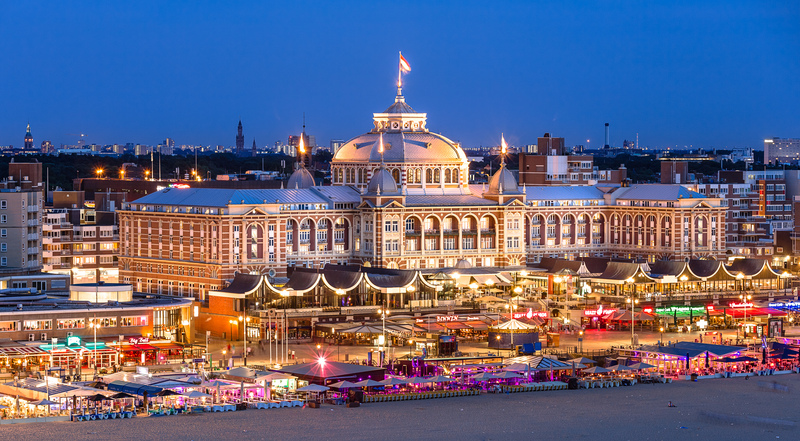 South Holland trip was beyond what we were expecting in terms of scenery, trails and dedication by the Holland tour operators. It was the trip of a lifetime!!! This was a trip on my bucket list and could not have asked for better!! Thank you! This was a very positive experience. Bikers of all abilities can participate in this tour. The navigation can be a bit tricky. I would definitely recommend using the navigation app in addition to the maps & briefings. However, there was usually a friendly local or another member of the group not too far away to help get you back on the route. The barge was very nice. We had an upgraded room. Plenty of storage space. The guides were excellent. The staff on the barge couldn’t have been nicer. The food was very good. The tour itself exceeded my expectations. Holland is beautiful. The route took us through a variety of geography. 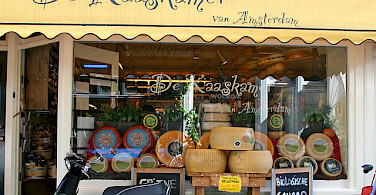 Lots of quintessential Dutch experiences, windmills, cheese, delft, etc.. 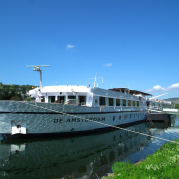 The de Amsterdam is a larger boat than most so you have a large group. Neither here nor there, just a note if you prefer a more intimate group. There were 3 of us from the USA traveling together. They told us to lock our bikes and take the key with us when we went into a store or restaurant. Toward the end of the trip we ( all 3 of us ) went into a store and did not luck our bikes. When we came out of the store one of the bikes was GONE. We took one of our other phones and called the USA to have the spouse lock the missing phone and track the bike on the GPS. The missing bike was 6 miles away at a big store. The shop owner called the police- the police went to the store- closed the store down for 45 minutes and locked all the 4 doors to the store. The police walked into the store looking for the red and black bike bag- saw it- walked up to the man , who was using the stolen phone and arrested him. He had stolen bikes before. They were so happy to catch him this time. The police never found the helmet and the man took $100, US dollars. They found the bike in the front of the store, as we knew the Read more… bike's # and brand. The phone was recovered. The thief was put in jail for 2 nights- we were told. The bike was returned to the barge. The victim was returned to the barge by the police. Lesson learned- NEVER LEAVE YOUR BIKE UNLOCKED and TAKE the KEY! On a lighter note- the wildflowers and wildlife a long the canals, were unbelievable! Would do it again, but lock our bikes. Scenery was excellent, dinners on the boat were superb, and the guide (Peter) was friendly, helpful, and competent. Suggestion--let there be hot water for tea or coffee available any time--not just till 6PM. Also, supply plastic bags for packing lunches--or advise people to bring their own. This trip exceeded all my expectations. It is a wonderful way to see the country. The accommodations were very comfortable. We will be back. And recommend it to our friends. The De Amsterdam is more like a cruise ship than a barge, very nice cabin, very nice dining room. This trip has been on my bucket list for several years. I did it, just turned 70 years old. We had a lot of rain so felt we were constantly rushing or dodging the rain....no fault of yours of course. This was our first time using the bike trails so were somewhat confused but we did it. One suggestion would be to inform riders which direction to head, left or right, off the ramp. Loved it. My wife and I were part of a custom tour charter excursion as sibling/spouse reunion. The cycling portion of the trip was wonderful and accommodations on board were wonderfully. Great captain, hosts, and cooks did a wonderful job. We would love to do it again! 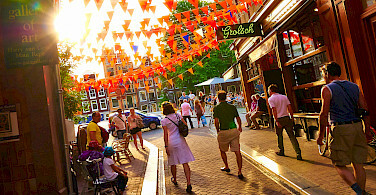 The Southern Tour from Amsterdam in the Netherlands is a wonderful trip. It was my first time on a cycling tour and I felt that I received all the information that I needed in order to prepare and to make a wonderful experience. The route had nice a diversity between cycling and stopping in Dutch cities. The crew was very helpful and friendly, and the food was great. My bicycle couldn't have been more comfortable. I highly recommend this trip. 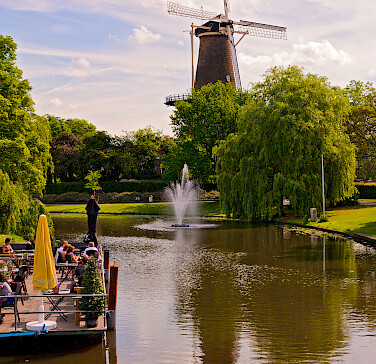 A wonderful way to see the Netherlands and experience different parts of the country. Food on the barge was excellent. I do recommend you practice a lot before the trip to prevent saddle sores. Proper biking pants helps a lot. The combination of beautiful bike routes and coming back to amazing meals each evening made for a vacation I would consider doing again. Most memorable part: Getting to know many friends from different countries. The biking was wonderful with a great variety of landscapes and villages to see. 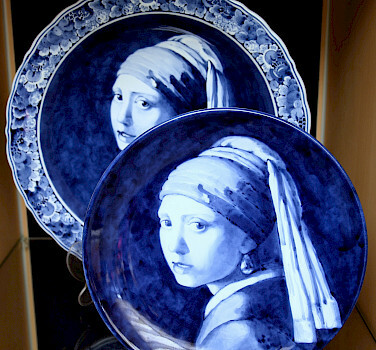 I learned and saw things from the Netherlands that I had never seen before. I loved the cycling through the dunes. 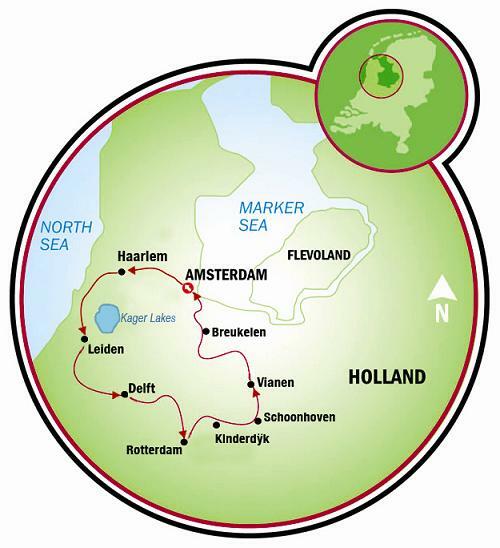 This tour was the perfect way to see the Netherlands.The biking and scenery was wonderful. 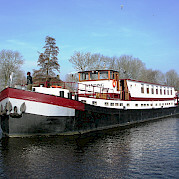 The staff was nice, the food was adequate, the boat could use a style update but it was clean with basic small cabins. Loved all the windmills, museum's, and bike routes. The food was delicious. Staff were excellent. I recommend to do the long routes as you get to see more. The overall experience was excellent. We enjoyed the intimacy of a relatively small group on the boat. It allowed us to meet a number of people over the course of the week. We will definitely be returning in the future. If I had one suggestion it would be to limit the number of days where there was a deadline to meet the boat in the late afternoon as these deadlines sometimes creates pressure to complete the route quicker than I would have otherwise chosen. Hi Mike! I agree with you. We will pass this along to our local partner to see if we can remedy this. Thank you for the suggestion! 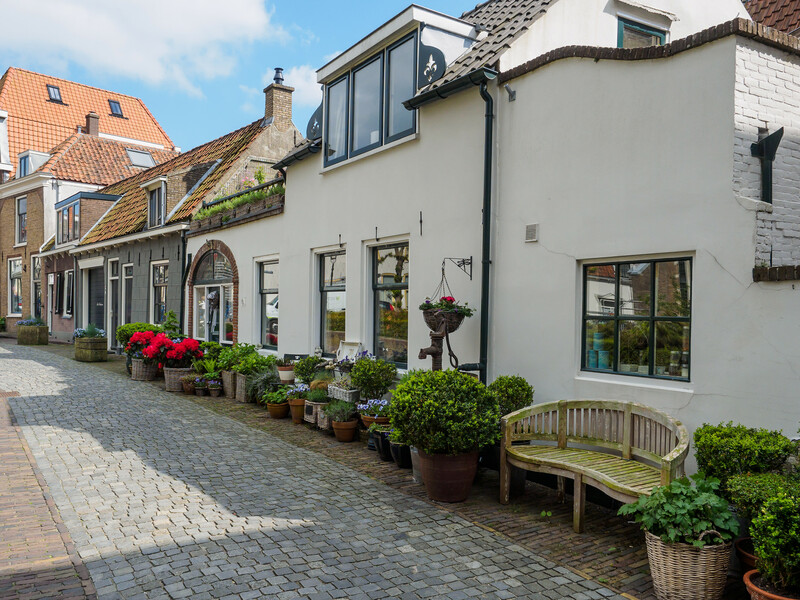 The most memorable parts were the wonderful roads to ride on in The Netherlands, the food was delicious, the staff members were accommodating and friendly . We loved this barge experience so much we signed up to do Northern Holland. The most memorable part was riding through the windmill countryside. 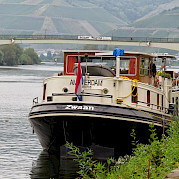 The most memorable part was the wonderful hospitality we experienced on the Zwaantje. The captain and staff were great and I could recommend them to anyone. It was a fantastic way to enjoy a siblings reunion. The crew on the barge were fantastic. The trip exceeded our already high expectations. We were very pleased with the bike/barge tour on the Swaantje. Being a slightly smaller boat, it took us right into the heart of the towns. Boat staff most friendly and accommodating. Our bike guide Felix was a gem. Great sense of humour and understanding of everyone's concerns. The scenery was beautiful and the barge was lovely. The most memorable part of the trip was the people - the Dutch are friendly and helpful, and the Angela Esmee crew was exceptional! Wonderful standard of accommodation - meals quality and cabin comfort were excellent. Cheese tasting on board every evening was an unexpected bonus. The bikes are operated by a pedal break which was a new experience for our group of 7 but we adapted over the course of the trip. 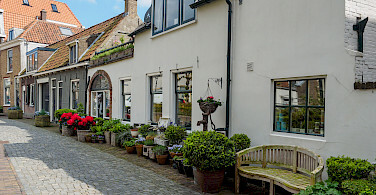 The cycle routes were excellent, not too strenuous and were long enough so that you really felt that you had a good day's exercise and yet there was just enough time to stop off in some of the lovely towns and villages for museum and cafe visits. This is our third bike and barge trip and we would come back to do another. We had a great time! The boat, the Liza Marleen, was very nice, the crew very friendly, and our bike guide informative, interesting, and a lot of fun. It was very nice going on a small size boat and the crew created a family-like atmosphere which made the trip very enjoyable. One one particularly warm and longer day, the crew handed out delicious popsicles as we climbed back aboard at the end of the day. We appreciated the all the small details like this. We tell many friends that they should do one of these Bike and Barge trips. We'll be back. Trip was outstanding however a comment. Upon our arrival on the boat, the first thing they tried to do was sell us bike insurance. We showed them the paperwork that we had paid 15 Euros. They countered that their ins was only 10 Euro and that it would be easier to settle a claim because we would not have to get reimbursed by you. We did not buy their ins but this turned us off immediately. Also, why are we paying 15 when they charge 10? This option should have been explained to us. Now the good news: boat was beautiful and we had a great room. Food was absolutely outstanding! I thought it was exceptional on Theodor Kormer but Anna Maria Agnes had them beat by a hair! And our guide, Niko, what a doll! Wish I could have taken him home with me! Prior to our trip my friends and I spent a few days in Amsterdam. 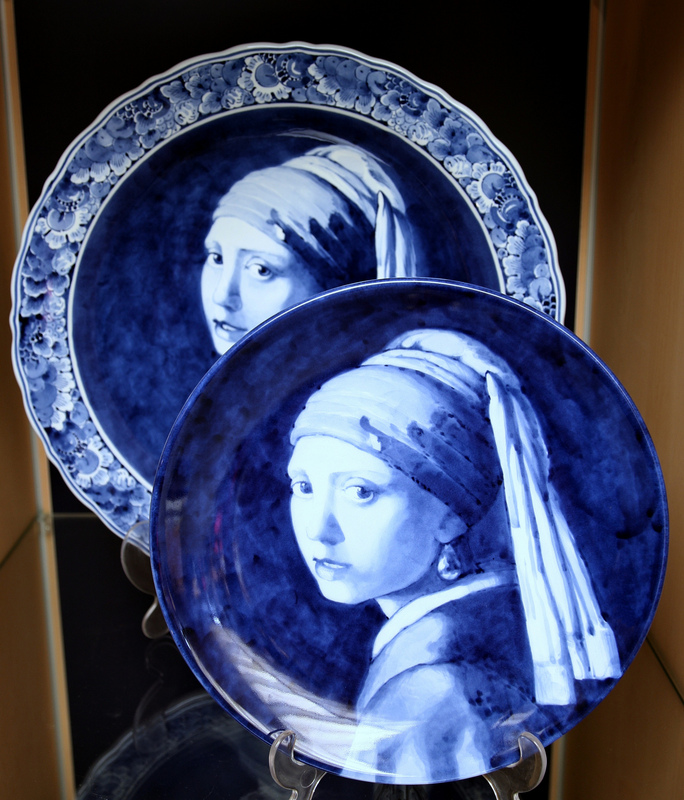 While visiting museums, I lost my new jacket, new Galaxy S-7 phone and my digital camera! We retraced our steps, went to police station. I came to the conclusion that Read more… I might have left them on the tram but it was Friday, the lost and found was closed until Monday. On Day 2 of our trip, I asked Nico if he could help me by calling the tram lost and found, which he did. The next evening, he approached me with a big grin and told me that they had recovered my items on the tram. What a miracle! He wrote down the case # and gave me directions to find the lost and found. Thank you Thank you to Nico!! One suggestion: we were given no instruction as to what the street signs meant. 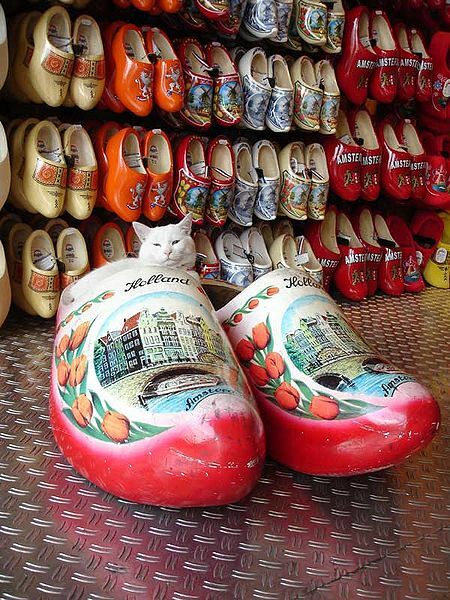 I know a little bit of Dutch and even I had a problem with them. I would suggest that a handout be prepared for all English speaking, showing pictures of the signs and interpretations. Also, a short session on cars vs bikes; who has the right of way etiquette ...that would be very helpful. Several times, we stopped at intersections, only to have bikers pass us or swear at us for stopping. At times, the route numbers were confusing but that was not the fault of Nico. There were some route changes, construction, which deviated from the map. Overall, we had a wonderful time!!!!!!!! 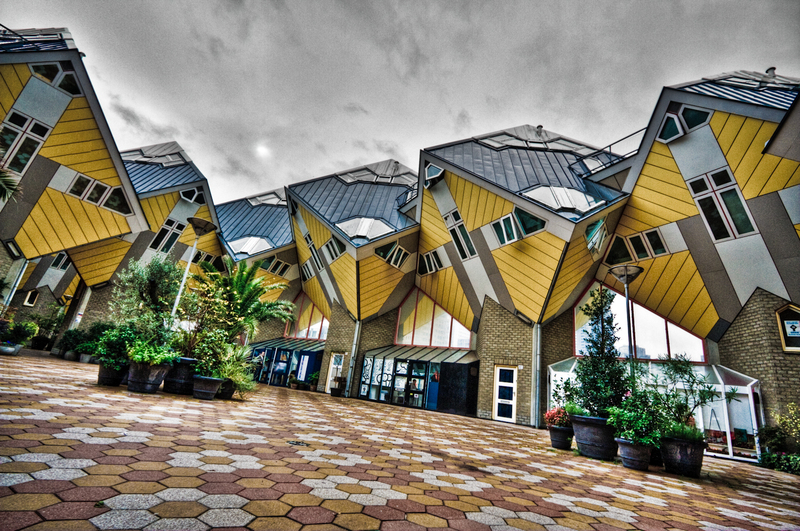 !II have already had some friends who are interested in booking a trip to Holland through tripsite. Thanks for getting back to us, Maureen. Per our earlier conversation, we will be refunding you the difference. It is our policy to match the boats bike insurance price and we apologize for this inconvenience. Due to the length of the cycling routes, there should have been better quality bikes. All gears should have been in working order. This was a fabulous trip! 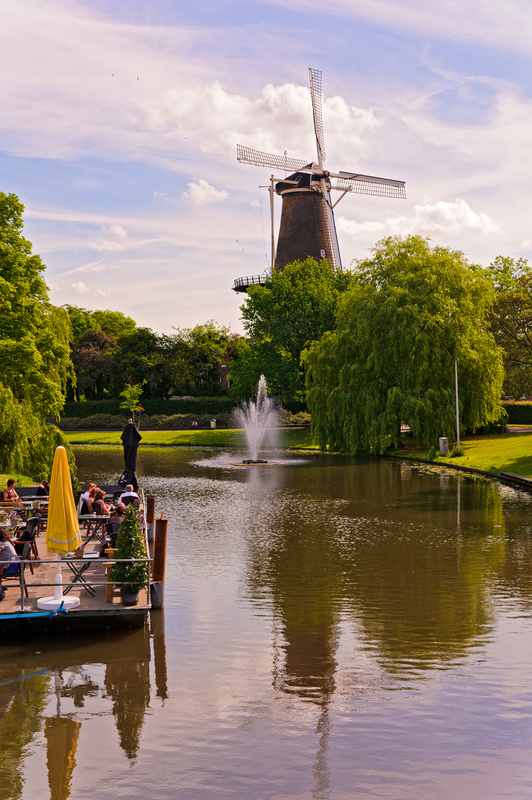 The best way to see the Netherlands is by boat and barge. This cruise far exceeded my expectations. The barge was homey and warm, the crew was so special. They took care of our every need, and did it in a friendly and caring manner. The chef was phenomenal! The value for your money was great. I would do this again in a heartbeat! There was initially a question with the insurance we had purchased from you. We had to purchase again on board. After it was reported to you, things were quickly resolved. We had another glorious trip with you and appreciate your help. The food was spectacular on both tours. The crew and guides were excellent on both tours. In particular, having guides with expertise in the history and art of the area is much more important than expertise in cycling. We have been recommending these tours to friends and family all summer long. Thank you. The route presentations by the guide were difficult to follow because they did not use a Powerpoint type presentation with a screen. This left the guest fumbling through paperwork which made the presentation difficult to understand and increased the risk of getting lost along the way. On some days, we could have biked more. Very pleasant walks in the evenings. Very small window in our room. 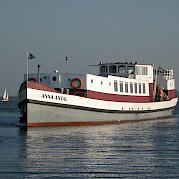 We have just returned from our holiday on the Anna Marie Agnes which we thoroughly enjoyed. The whole voyage and cycle riding was well planned and, Ida, the guide could not have been better. We were allocated a dining table with a total of eight English speakers who all gelled from the first meal and we sometimes met at path side cafes. 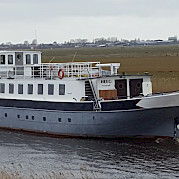 De Amsterdã Holanda Barco da Categoria Comfort Plus De Amsterdã, antigo Lale Andersen, foi construído em 1991 e reformado em 2017 exibindo estilo e conforto. Todas as 56 cabines são confortáveis e equipadas com banheiros privativos, TV via satélite, cofre, secadores de cabelo, interfone e controle individual de ar condicionado. De Nassau Holanda Barco da Categoria Comfort Plus Os barcos da classe Comfort Plus são barcos confortáveis, bem decorados, com cabines que oferecem banheiro privativo e cama sem ser do tipo beliche, ampla área de jantar, salão separado e mais. Liza Marleen Barco da Categoria Comfort O Liza Marleen é uma embarcação de passageiros de luxo, que foi completamente remodelada em 1998. Esta robusca embarcação é perfeita para viagens pelos grandes canais. Possui um belo salão à frente e um espaçoso deck. Sailing Home Holanda, Bélgica Barco da Categoria Comfort Construído em 2001, este barco foi designado especificamente para fornecer uma acomodação mais atrativa durante as suas férias. Ele foi construído para satisfazer os desejos e pensamentos em se tratando de conforto e serviços. A experiência de vida: pedalar pelos mais belos lugares da Holanda, enquanto reside em um navio confortável, novo e bem equipado. Wending Holanda Barco da Categoria Standard O Wending é uma antiga embarcação de carga que foi convertida em uma luxuosa embarcação a motor de passageiros no início dos anos 90 e redecorado em 2002. A embarcação possui um salão espaçoso, equipado com televisão e música. É um ótimo lugar para relaxar após um vigoroso dia de ciclismo. Anna Antal Holanda Barco da Categoria Standard O Anna Antal foi convertido em barco de passageiros no ano de 1994-95. Em 2012, o salão de estar e as cabines foram reformadas. Zwaan Bélgica, Holanda Barco da Categoria Standard No ZWAAN (Swan) você pode experimentar um pocuo da história da Holanda. A embarcação (tipo motor luxo) foi construída em 1928 com uma embarcação de carga e tem 34 metros de comprimento e acomoda até 16 pessoas. Quatro das cabines possuem espaço adicional para uma beliche ou outra cama de solteiro baixa.